Since 2002, Data Clinic have provided expert data recovery services – retrieving the files and folders from hard drives and phones where the data is no longer accessible by normal means. We provide a ‘no recovery no fee’ which means we only charge if we are successful in getting your files back. In addition to a free UK wide collection service, we have data recovery locations across the England, Wales, Scotland and N Ireland. Below are some of the most recent enquiries we’ve had. If you’ve got a similar problem please contact us, we should be able to get your data back. My Seagate FireCuda 1 TB 2.5 inch Internal SSHD Hard Drive for PC and PS4 has stopped working. It has data on it and I need it repairing. Maxtor 2 TB M3 hard drive started struggling with data transfer and started to make a whirring, slight beeping, scratching noise. As it was completely unresponsive, it was unplugged and I prepared to move data over to another drive. However, at this point the drive was unable to be recognised by the computer. When it is plugged in the drives LED lights up and the noise begins, but the computer does not register it being connected at all. I wanted to format my laptop and upgrade to windows 10 – i copied all the data onto external hard drive- around 100-150 GB; when my partner dowloaded the ew windows, he accidently did it onto the ext hard drive, he upgraded the windows and formatted the latop, so no data is there BUT on top of that- when he downloaded windows onto ext hard drive, it wiped out all the data from it too…. is there any way we can get it back? how much would it cost and how much time would it take? Acer Aspire one d270, machine suddenly would switch on but nothing on the screen, no sounds from the fan, no load up. wouldn’t connect to another monitor. I looked online and decided to remove the hard-drive and pop it into a USB sata caddy. I can’t acces my documents, Pictures, Music, Videos or downloads, they’re not shown when connected to my other lap top, just public files, windows, programmes etc. There are a few encripted files i can’t access, tried changing permissions but that hasn’t worked. Any ideas? I’m based in Blackpool. 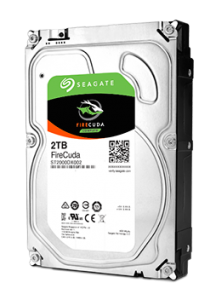 Seagate 3.0TB Barracuda internal SATA hard disk formatted in extfs2 or 3, used in a home server. It spins up and seems to initialize ok. No odd/clicking noises. Computer does not recognise the drive. Prior to this, performance was very slow, could only list files over network. Rebooted, computer hanged at boot. LG G4 stuck booting, Would like to recover a small amount of photos that have not been backed up by Google Drive. Can boot in download mode (but unrecognisable to multiple desktops and laptops. Handset boots multiple times when cold, but freezes on boot screen when warm or hot. 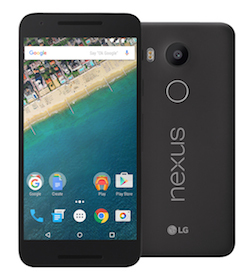 I have a LG Nexus 5x that has failed on me. It has started to bootloop and will not power on anymore. When it does power on i can get to the bootloader but selecting recovery just bootloops again. I need to recover just the photos and videos from the last 2 months off the storage. What sort of price would that be? As mentioned above, we work on a ‘no recovery no fee basis’. As a rule of thumb data recovery costs can vary between £300 and £800 depending on the fault. In all cases, once we’ve inspected your hard drive or phone we’ll tell you a data recovery price – it’s then up to you if you want to proceed or not.